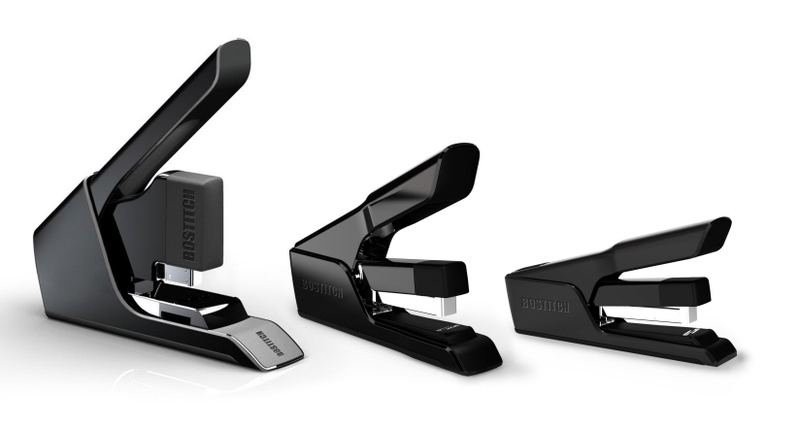 DesignThink has designed a line of new EZ Squeeze™ Staplers, improving the process for heavy duty, high volume manual stapling, as well as established a new identity for a brand that has been offering innovation in stapling products for over 100 years. 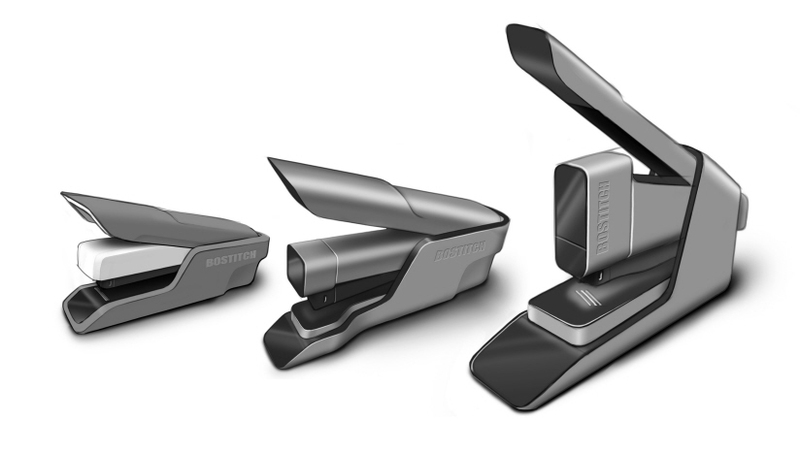 The new line of Reduced Effort staplers is used by professionals stapling up to 130 sheet documents in printer or mail rooms where high volume stapling is needed. 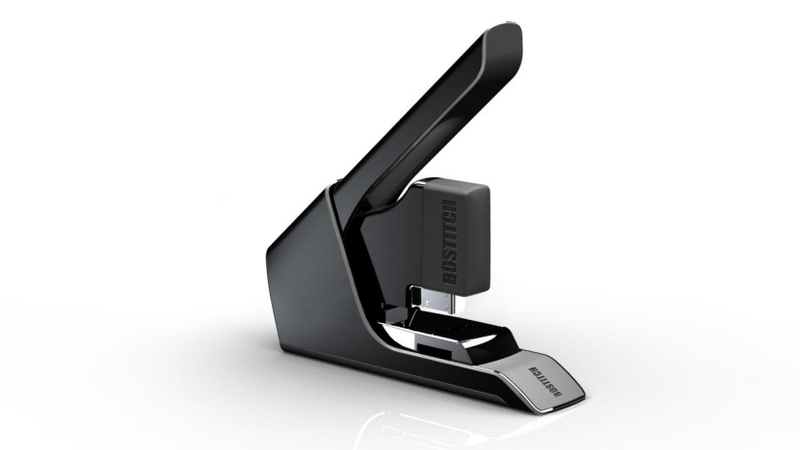 The design incorporates a new patent pending precision engineered EZ Squeeze™ mechanism which reduces stapling effort by up to 55%. The new mechanism dramatically reduces the disturbingly loud snapping sound common with other reduced effort staplers. A quiet stapler is a welcome insight as more companies adopt the open office floor plan. Also eliminated is the hassle that users have in deciphering and switching staple sizes for the proper length staple used with traditional heavy duty staplers that require multiple staple sizes. Conveniently, the staples in the EZ Squeeze™ line all use just ONE size staple due to innovation in how the mechanism works and bends the staple!